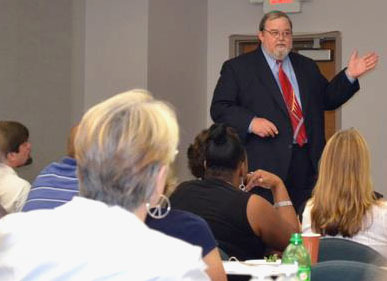 Are you looking for service or systems improvement consultation and/or workforce development training in the behavioral health, community corrections, or peer recovery services fields? I deliver performance support consulting and training in psychotherapy; clinical supervision; program management and development; and teaching and training. I enjoy opportunities to work with professional, peer, paraprofessional, faith-based, and volunteer service providers. My strength is promoting the integration of recovery-oriented﻿, client-directed, and outcome-informed services that improve retention and outcomes while providing practice-based evidence of service delivery system effectiveness. Consultations begin with me learning your strengths and what has made your business successful. We then design a consulting plan that meets your unique needs. Please browse this website, review the variety of service topics, and email me to discuss how I can be of service. Below is a partial list of recently satisfied customers. Click on the name to open the organization's website. Click ﻿here for my vita and here is my full bio and here is a brief version.